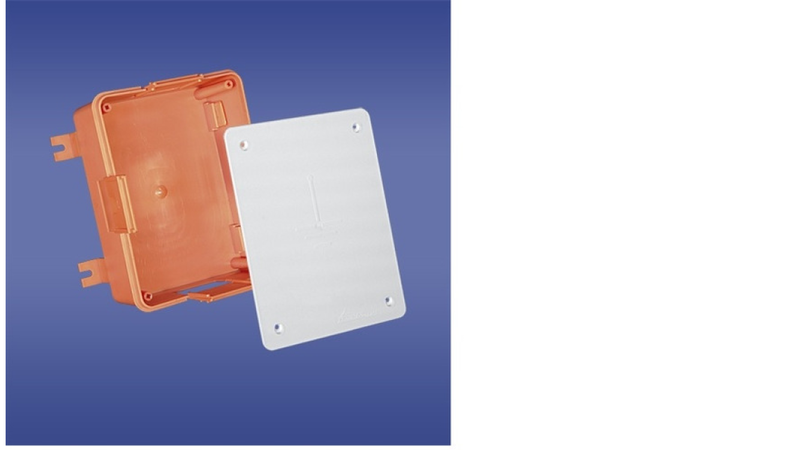 This junction box is used in mounting of the monitoring connection of lighting protection system in the outside building facades (plasters - building thermal insulations up to 12 cm thick). The box protects the connection maintenance against weather conditions. There is a possibility to mount the junction box without dismantling the lightening protection system by using special grooves in the junction box sides. The aesthetic and mat cover of the junction box guarantees a proper paint coverage. the product is made of high mechanical and electrical durability plastics.